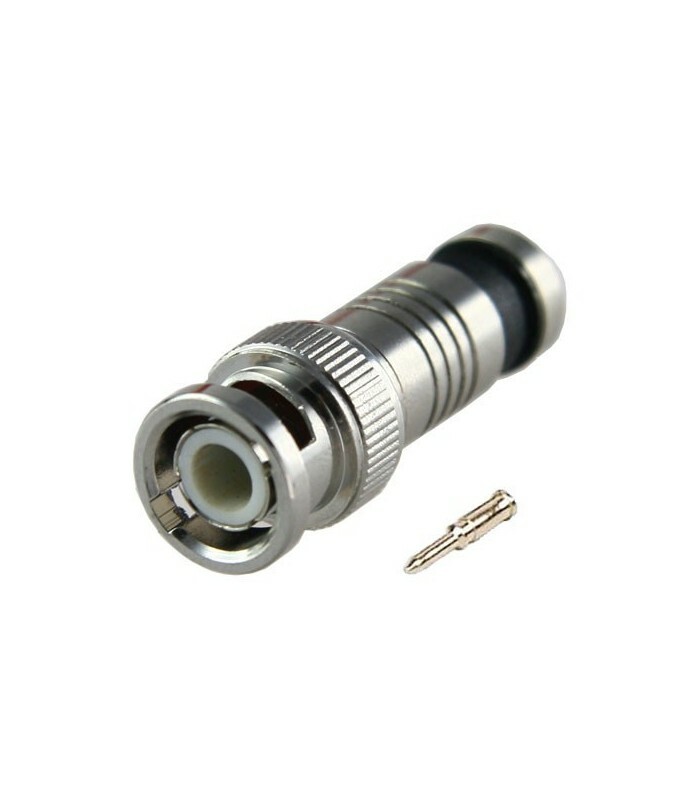 BNC male quick compression connector. It required for facilities that are available RG59 coaxial cable and BNC connectors are needed. Compatible with any RG59, allowing faster and stronger union than with traditional crimpers.